Key Difference: There is no actual universally standardized technical distinction between the lakes and ponds. Many scientists classify them just on the basis on size. Water is essential to the survival of humans and water is also the most commonly found element on the Earth. Water makes up 71% of the earth and is found in various different forms including lake, ponds, rivers, seas, basins, oceans, etc. Certain bodies of water are easier to classify, such as oceans, rivers and seas; however, there are certain bodies of water that is a little difficult to identify and segregate under a particular label; these include lakes and ponds. Well, the confusion doesn’t lie just with the general public; scientists and biologist are just as clueless when it comes to lakes and ponds. There is no actual universally standardized technical distinction between the lakes and ponds. While, some classify them apart just on the basis on size, the rest claim that ponds have a certain features that lakes lack. However, in simple definition both are defined as a stationary pool of water, which is surrounded by land and apart from any river or other outlet that serves to feed or drain the lake. Both, lands and ponds can be man made or naturally occurring. 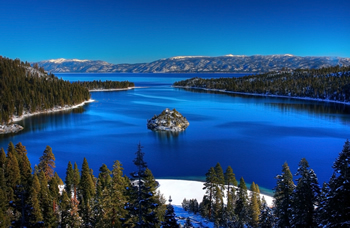 Certain definitions of lakes claim that lakes must be a body of water of 5 acres or more, while other definitions contradict and put forth other land restrictions such as 12 acres or more, 20 acres or more, etc. Charles Elton, one of the founders of ecology, regarded lakes as waterbodies of 99 acres or more. However, certain basis of water such as Lake Eyre, are also known as lakes. Ponds are usually considered smaller and shallower to lakes. 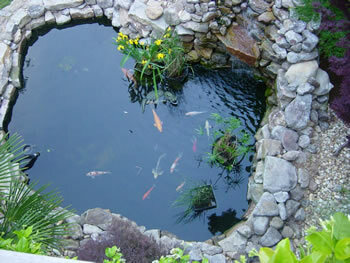 Other definitions claim that ponds must contain marsh and aquatic plants and animals. Certain Limnologists and freshwater biologists have proposed definitions of ponds to include distinguishing characteristics such as 'bodies of water where light penetrates to the bottom of the waterbody,' 'bodies of water shallow enough for rooted water plants to grow throughout,' and 'bodies of water which lack wave action on the shoreline.' Any depression in the ground that collects and stores water to a period of months is also considered as ponds, although this may also fall under the category of basin. 12 acres, 20 acres or 99 acres or more.